Thats all. Game finished - Villarreal 1, Valencia 3. Second Half ended - Villarreal 1, Valencia 3. Goal! Villarreal 1, Valencia 3. Gonçalo Guedes - Valencia - shot with right foot from the centre of the box to the high centre of the goal. Assist - Denis Cheryshev following a fast break. Goal! Villarreal 1, Valencia 2. Daniel Wass - Valencia - shot with left foot from the centre of the box to the top left corner. Assist - José Gayá. Offside - Villarreal. Víctor Ruiz with a pass, however Alfonso Pedraza is in offside. Xavier Quintillá - Villarreal - receive yellow card for a foul. Denis Cheryshev - Valencia - won a free kick on the left wing. Missed chance. Daniel Wass - Valencia - shot with right foot from the right side of the box missed to the left. Assist - Rodrigo Moreno. Substitution - Villarreal. Alfonso Pedraza for Mario Gaspar. Gerard Moreno - Villarreal - won a free kick in attack. Daniel Wass - Valencia - won a free kick on the right wing. Missed chance. Gonçalo Guedes - Valencia - shot with right foot from outside the box goes high. Assist - Denis Cheryshev. Substitution - Villarreal. Manuel Morlanes for Santiago Cáseres. Missed chance. Santi Cazorla - Villarreal - shot with right foot from outside the box goes high. Santiago Cáseres - Villarreal - won a free kick in defence. Cristiano Piccini - Valencia - won a free kick in defence. Substitution - Valencia. Denis Cheryshev for Kevin Gameiro. Shot blocked. Gerard Moreno - Villarreal - shot with left foot from the centre of the box is blocked. Assist - Samuel Chukwueze. Substitution - Villarreal. Carlos Bacca for Vicente Iborra. New attacking attempt. Samuel Chukwueze - Villarreal - shot with left foot from the right side of the box is saved in the left corner. Assist - Mario Gaspar. Álvaro González - Villarreal - receive yellow card for a foul. Kevin Gameiro - Valencia - won a free kick in attack. Shot blocked. Francis Coquelin - Valencia - shot with right foot from outside the box is blocked. Assist - Gonçalo Guedes. Substitution - Valencia. Francis Coquelin for Ferrán Torres. Missed chance. Samuel Chukwueze - Villarreal - shot with left foot from outside the box is high and wide to the left. Assist - Pablo Fornals. New attacking attempt. Samuel Chukwueze - Villarreal - shot with left foot from outside the box is saved in the top centre of the goal. Assist - Santi Cazorla with a through ball. Substitution - Valencia. Cristiano Piccini for Facundo Roncaglia. Missed chance. Santi Cazorla - Villarreal - shot with right foot from outside the box is high and wide to the right. Assist - Mario Gaspar. New attacking attempt. Samuel Chukwueze - Villarreal - shot with left foot from the centre of the box is saved in the right corner. Assist - Pablo Fornals. Santi Cazorla - Villarreal - won a free kick in defence. Missed chance. Daniel Wass - Valencia - shot with right foot from outside the box goes high. Second Half starts Villarreal 1, Valencia 1. First Half ended - Villarreal 1, Valencia 1. Facundo Roncaglia - Valencia - won a free kick in defence. New attacking attempt. Samuel Chukwueze - Villarreal - shot with left foot from the left side of the box is saved by goalkeeper in the centre of the goal. Offside - Valencia. Facundo Roncaglia with a pass, however Kevin Gameiro is in offside. Corner - Villarreal. Conceded by Neto. New attacking attempt. Gerard Moreno - Villarreal - shot with left foot from the left side of the box is saved in the left corner. Assist - Vicente Iborra. Rodrigo Moreno - Valencia - won a free kick on the right wing. Samuel Chukwueze - Villarreal - won a free kick on the right wing. Goal! Villarreal 1, Valencia 1. Santi Cazorla - Villarreal - converts the penalty with a shot with right foot to the left corner. Penalty conceded by Ezequiel Garay - Valencia - after a foul in the penalty area. Missed chance. Santi Cazorla - Villarreal - shot with right foot from outside the box is close, but missed to the left from a free kick. Pablo Fornals - Villarreal - won a free kick in attack. Santi Cazorla - Villarreal - won a free kick on the left wing. Santi Cazorla - Villarreal - receive yellow card for a foul. Missed chance. 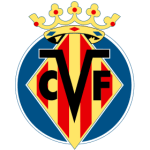 Samuel Chukwueze - Villarreal - shot with left foot from outside the box goes high. Assist - Pablo Fornals. Missed chance. Vicente Iborra - Villarreal - shot with the head from the centre of the box goes high. Assist - Xavier Quintillá with a cross. Shot blocked. Pablo Fornals - Villarreal - shot with right foot from outside the box is blocked. Assist - Samuel Chukwueze. Corner - Valencia. Conceded by Álvaro González. Shot blocked. Kevin Gameiro - Valencia - shot with right foot from the centre of the box is blocked. Assist - Rodrigo Moreno. Missed chance. Santi Cazorla - Villarreal - shot with right foot from outside the box is close, but misses the top right corner. Assist - Samuel Chukwueze. Missed chance. Kevin Gameiro - Valencia - shot with left foot from the left side of the box goes high. Assist - Rodrigo Moreno with a through ball. Corner - Villarreal. Conceded by Ferrán Torres. Offside - Villarreal. Víctor Ruiz with a pass, however Samuel Chukwueze is in offside. Shot blocked. Santiago Cáseres - Villarreal - shot with right foot from outside the box is blocked. Assist - Samuel Chukwueze. Corner - Villarreal. Conceded by Facundo Roncaglia. Goal! Villarreal 0, Valencia 1. Gonçalo Guedes - Valencia - shot with right foot from the centre of the box to the right corner . Penalty saved! Daniel Parejo - Valencia - fails to capitalise on this great opportunity, shot with right foot saved in the left corner. Penalty conceded by Santiago Cáseres - Villarreal - after a foul in the penalty area. 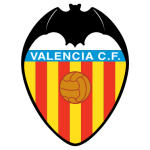 Get real-time football commentaries and full coverage for the Europa League match Villarreal vs. Valencia, powered by Scorenga.co.uk. This page is dedicated to one of the most exciting Europa League clashes. Here you will find a summary of the game, standings and photos.